Have you downloaded the Softub Express App yet? It is a great resource for Softub owners and those who are thinking about investing in a Softub. With over 20 features it is so much more than just a hot tub app. Our app is a great resource for our customers, that makes maintaining your Softub easy. You will find a link for quick warranty registration and a video showing how to set up your Softub. There are steps for adding start up chemicals, quick instructions for routine maintenance, and even a convenient link for ordering chemicals before you run out. Owners can also easily share pictures of themselves enjoying their Softub. 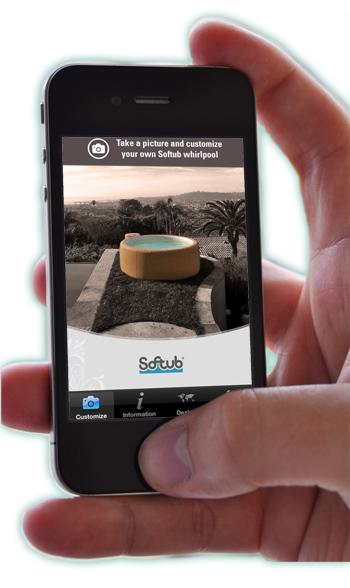 The app is great for people who are interested in Softubs, but haven’t taken the plunge yet. It highlights special deals and upcoming events. App has a link to our photo gallery and customer testimonials so you can check out all of the ways people are loving their Softubs. There is a link directly to our website, social media pages, and blog to keep you up to date on all the recent Softub news. There are so many features on the app that you won’t want to miss out on. So, head over to the app store and download the Softub Express App now!